Our collection of copper chimney caps keep rain and snow from going down the chimney pipe. We also have models that prevent downdraft by either creating a partial vacuum, or rotating to meet and block the wind. Our products range from shorter cone-top caps, to the “universal” style, to the wagon-style square or round base caps. 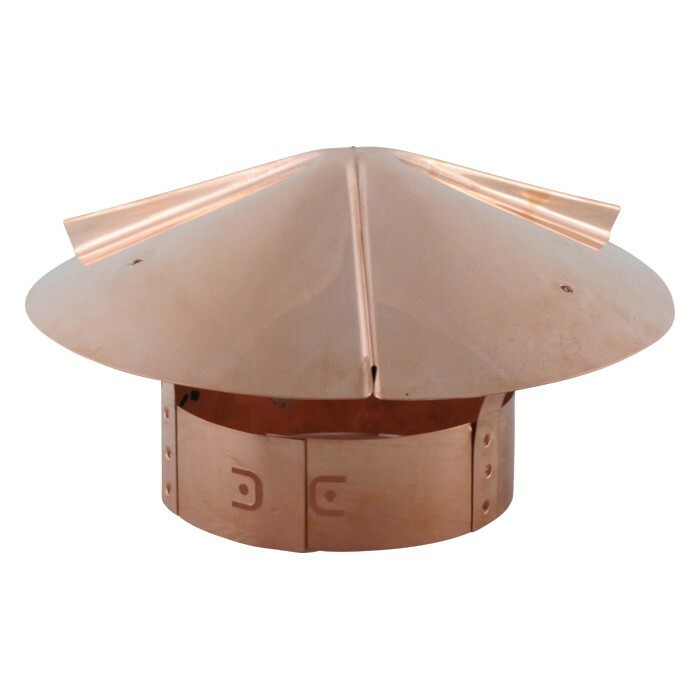 All copper chimney caps are made in 16 ounce thickness and come in sizes that will suit your needs. Whatever your chimney cap requirements are, we’re bound to have a solution for you. All caps come with a 1-year warranty against product defects and workmanship flaws, and are manufactured in the United States. 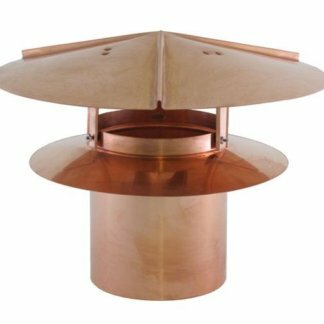 Our vacuum caps come with either a round base or a square base to fit a rectangular or square flue. These can be used for gas, coal, oil, or wood burning chimneys. They prevent downdrafts from the winds by creating a partial vacuum that allows the air to be drawn upward. Aligning or positioning the cap with the flat side facing the wind will make it the most effective. 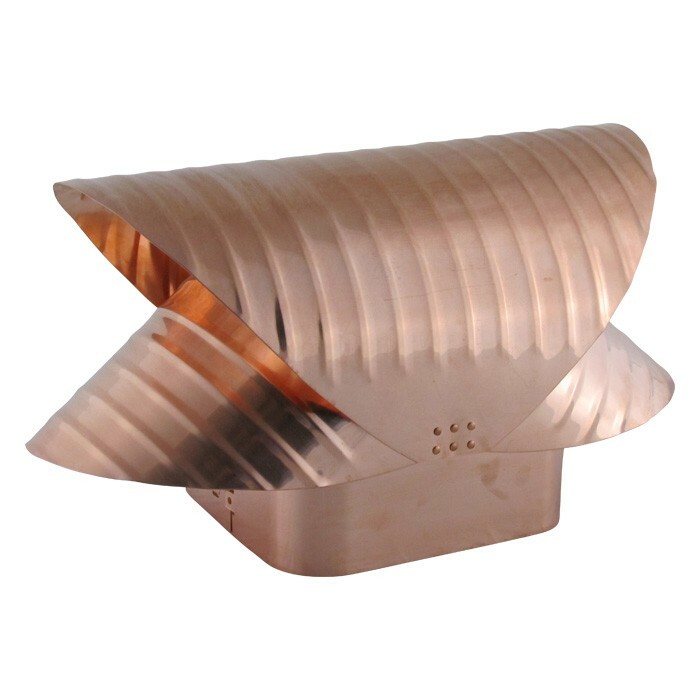 If you have strong winds that come from all directions and you do not have any kind of wind barrier near your house such as trees or another building, our wind directional chimney cap is also an excellent option. These come in galvanized or stainless steel. When strolling through your neighborhood, you probably look at minor details and differences in your neighbors’ homes. 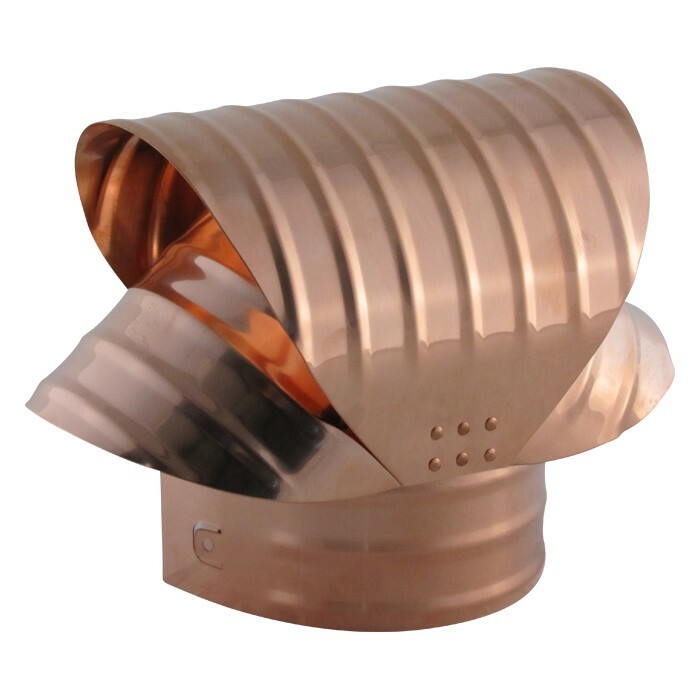 A gleam of light might catch your eye from the copper chimney cap making one home stand out from the rest. These subtle details go a long way not only for longevity but for sustainability. They will look great, and make you feel good about your choice to go with copper.